. @HPE_LivingProg IT efficiency: savings without sacrifice http://bit.ly/2zTipHE "If the internet were a country, it would be the 5th largest energy consuming ‘country’ in the world," says Hewlett Packard Enterprise (HPE) CEO Antonio Neri. "If the internet were a country, it would be the 5th largest energy consuming ‘country’ in the world," says Hewlett Packard Enterprise (HPE) CEO Antonio Neri. Asking how big the internet is like contemplating the size of the universe—it’s unimaginable. The internet doubles in size every 2 years, estimated to be a massive 15 zettabytes of data today and will be over 40 zettabytes by 2020. Putting it in perspective, if every terabyte were a kilometer, that would be enough data to take up half the Milky Way. IT innovation has enabled us to build a world in which everything computes, but this innovation comes at a cost. All of that exponentially increasing data is stored, hosted, enabled and accessed on devices that are estimated to account for roughly 6% of the world’s carbon emissions by 2025. The tech sector is challenged to create solutions that not only make our world smarter and more connected, but to create more efficient solutions that enable us to do exponentially more with exponentially less. How are tech companies answering this challenge? Designing more energy-efficient hardware. For one, the Total Cost of Ownership (TCO) of enterprise hardware is no longer solely the price tag; in fact, majority of the lifecycle cost of IT comes from its use phase in energy, real estate, and water consumption costs. The more the tech sector accelerates that target efficiencies in the use-phase of hardware, the greater impact they’ll have in reducing total costs for customers. At HPE, customer product use accounts for a staggering 64% of our global carbon footprint across our value chain. That’s why HPE has set a 2025 target, to increase the energy performance of our product portfolio 30 times compared to 2015. This will not only decrease the TCO of our products for our customers while helping to meet their own sustainability goals, but it empowers customers to do exponentially more with increasingly less financial and environmental costs. We’re already on our way to reach this ambitious product energy goal, thanks to the help of our product engineers who continually raise the bar in driving energy savings and sustainability metrics for our customers. For instance, HPE Synergy 480 and 660 Gen10 Compute Modules now hold 27 server efficiency world records, and Intel features 13 of these records on their . Our HPE ProLiant ML350 offers the world’s most energy efficient tower, using Intel’s Xeon Scalable Processors, second overall leader for energy efficient tower servers, and is more energy-efficient than a similarly configured tower server from Dell. The release of our ProLiant Gen10 servers are securing our spot as a leader in IT efficiency and security. HPE’s ProLiant Gen10 servers are the world’s most efficient 1U and 1P servers, with up to 14% more energy efficiency than competitors, and have been recognized as the most secure industry standard servers on the market. Customers and partners can better understand the efficiency of HPE products through third-party eco-labels. HPE products are certified where feasible on 80 PLUS, Energy Star (Storage, Servers) and now EPEAT. These voluntary declarations help businesses conveniently identify tech solutions that reduce energy costs and emissions. HPE sits on the Green Electronics Council (GEC) and helped to launch a new server product category for EPEAT, making it easier for public and private sector organizations to make purchasing decisions that reduce TCO and drive sustainability in their IT solutions. Beyond designing and selecting the most innovative hardware products for energy efficiency, it’s also vitally important that businesses are able to leverage technology solutions efficiently through the day-to-day fluctuations of their IT demands. On average, customers overprovision IT capacity by 59% for storage and 49% for computing. HPE GreenLake Flexible Capacity helps our customers only use what they need, reducing financial and environmental costs up to 38%, compared to the industry average. 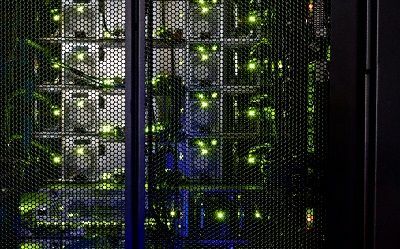 Zombie servers—or servers that are powered on but have little to no productive activity—cost the world billions in dollars every year without any computational benefit. Technology offers an incredible opportunity to drive business further, to do things faster and to increase reach and potential. Yet building that world where everything computes comes with an unshakeable responsibility to do so efficiently. Luckily, finding cost-effective and sustainable solutions for your IT needs is easier today than it ever has been.